The game of golf has not had many transportation revelations in its history. The pull cart helped get the bag off the back. And of course the golf cart made the game even easier for lazy people and made long, hilly courses more bearable. But even those have limitations like not driving on the green or not being able to get across water. Hard to imagine that anything else could really change how we get around the course. Until now. Are you an avid golfer who would love to have the chance to improve your golfing skills? If you have answered in the affirmative, and yet do not have the kind of monetary resources to hire the likes of a professional golfer to give you some tips, resigning you to depend on online pages as well as glossy golf magazines, perhaps having an electronic tool to help you out might work. 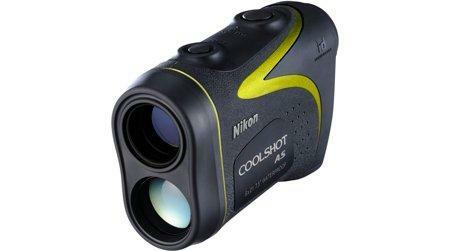 I am referring to the Nikon Laser Rangefinder COOLSHOT AS that will continue to expand Nikon’s COOLSHOT Laser Rangefinder series.